After a highly successful inaugural Fishing Festival in March 2018, fishing fever returned to Cofton again this September for the second instalment of the highly sought after Cofton Cup! The award-winning South Devon holiday park hosted its second competitive match on its Mamhead Match Lake, from 18th – 20th September. Battling it out against a number of experienced anglers, Andy Everill from Newcastle-under-Lyme, came out on top in Thursday’s grand final with a winning total of 62.06 lbs from peg 25, scooping the Cofton Cup and £500. Andy nudged ahead of runner-up Phil Denslow, from Taunton, whose total haul of 54.02 lbs from unlucky-for-some peg 13 earned him £250. John Davies, from Bridgewater, at Peg 15 scooped £150 in third place with a net of 46.10 lbs. Bob Rand, from Ivybridge, earned £100 in fourth place with a net of 42.04 lbs at Peg 22. 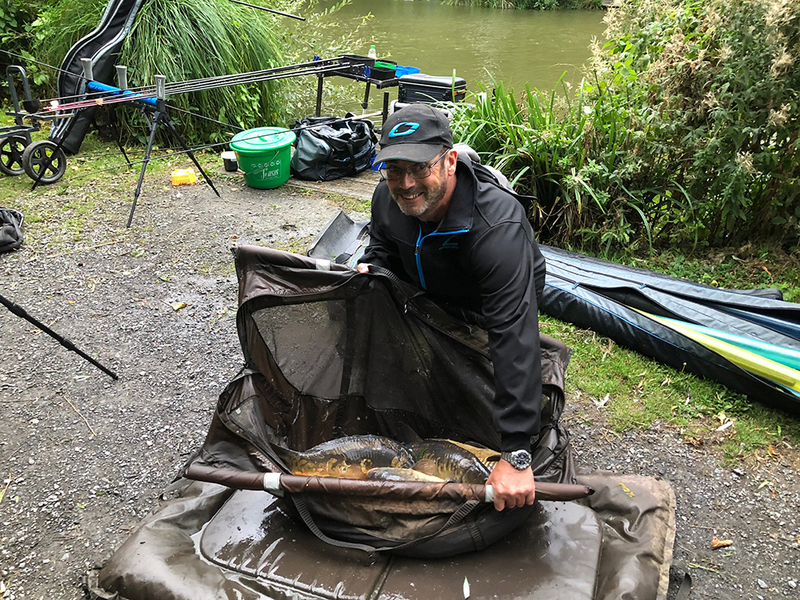 Bream and carp featured significantly over the course of the competition and in the winning nets, including a record-breaking 121.03 lbs haul from Paul Bland in Tuesday’s qualifier – the first 100lb + net in competitive angling at Cofton. Following its success, the Cofton Cup Fishing Competition will return in the spring of 2019. Cofton Cup III – Fishing Festival, will take place from 13th to 17th May and is open to keen anglers staying at Cofton Holidays. In addition to the main final, there will also be a plate final.